Last week, the formaldehyde fallacy was laid bare. Dr. Konstantinos Farsalinos and colleagues reproduced the Jensen experiment and found that “The high levels of formaldehyde emissions that were reported in [the Jensen] study were caused by unrealistic use conditions that create the unpleasant taste of dry puffs to e-cigarette users and are thus avoided.” Their work appears in Food and Chemical Toxicology (abstract here). Farsalinos’ group painstakingly reproduced the earlier experiment, using the same now-outdated vaping equipment that was prone to dry puffs. First, they had experienced vapers identify at what settings the “burning” taste of a dry puff was detected: 4.2 volts, 8.0 watts. They then used Jensen’s methods to measure formaldehyde at various voltage-power settings, seen in the chart (above) adapted from their publication. Vapers detected dry puffs when the formaldehyde level was 100 micrograms (per 10 puffs). Given that a microgram is one-millionth of a gram, Jensen’s formaldehyde level wasn’t hidden at all; at 380 micrograms, it was much higher than vapers could tolerate. 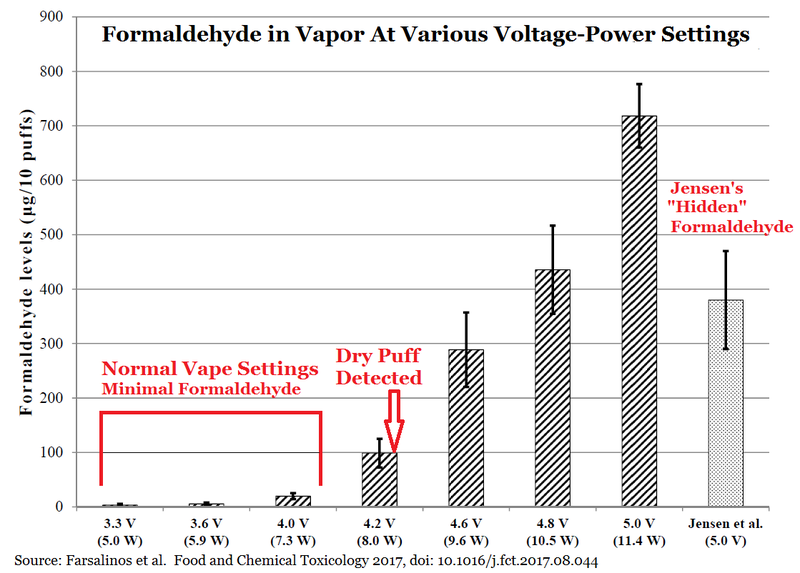 At lower, normal vaping power, formaldehyde was only 20 micrograms, or two-thirds that of cigarettes. In response to the Jensen article in 2015, Clive Bates and Konstantinos Farsalinos published a letter in Addiction calling for its retraction (here); the demand was ignored. The current publication is a much-needed antidote to Jensen’s seriously flawed and misleading findings. 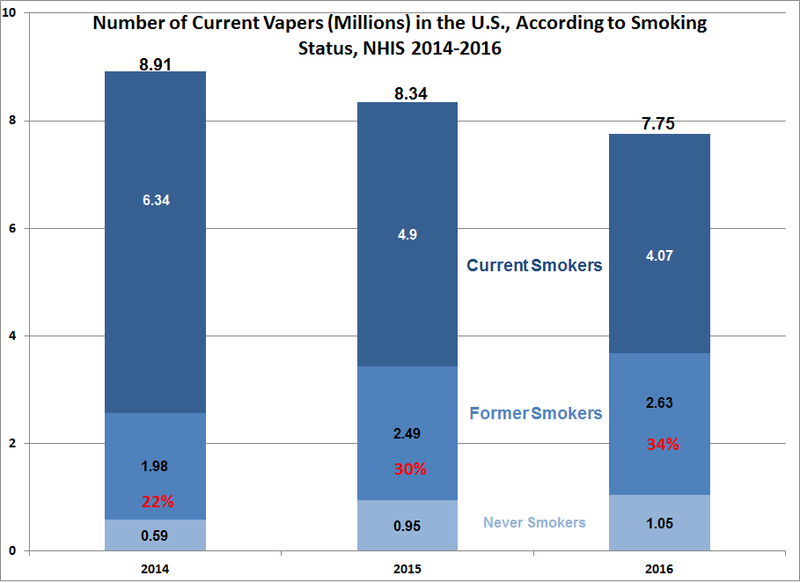 Several years ago, researchers recruited sick smokers at a group of hospitals – the Consortium of Hospitals Advancing Research on Tobacco, or CHART – and conducted federally-supported smoking cessation trials. Now Taneisha Scheuermann et al. in the journal Addiction (abstract here) examine the post-trial results, focusing on levels of cotinine, a nicotine breakdown product, in trial participants’ saliva. Hospitals in six cities provided 5,827 smoking patients with a variety of quit-smoking interventions. Six months later, 4,206 of those subjects completed a survey, with 1,708 reporting that they had not smoked in the past seven days. Nearly 10% of them reported using pharmaceutical nicotine, e-cigarettes or other tobacco harm reduction products in the past seven days; those subjects were among the 530 excluded from the Scheuermann analysis. Self-described non-smokers were offered $50 to $100 in exchange for saliva samples, but only 923 participants responded; of those, 822 supplied usable samples. Scheuermann used a standard saliva cotinine cutoff of 10 nanograms per milliliter: participants below this level were considered to be not smoking, while those at or above were still smoking. Of the 822 participants who reported 7-day abstinence, 347 (42.2%) were dissembling, as their saliva cotinine levels indicated they were smoking. 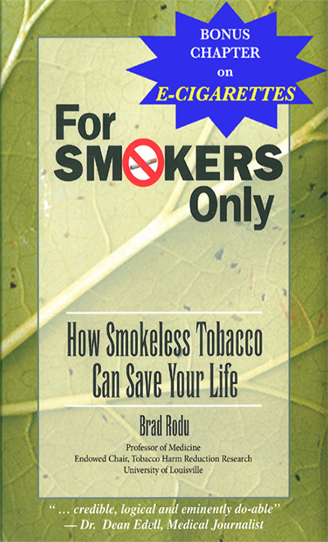 That so many individuals failed to quit evidences a fact that tobacco prohibitionists often ignore: The vast majority of smokers are unable or unwilling to quit. 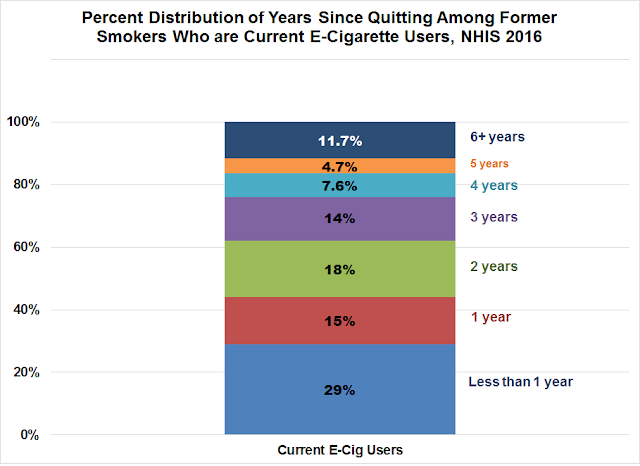 The 475 verified quitters constituted roughly 8% of the 5,827 patients who started the trials – a percentage that is consistent with the quit rate among the general population. Also note that these smokers were recruited during a hospitalization, when their focus on health issues might have increased their motivation to quit. 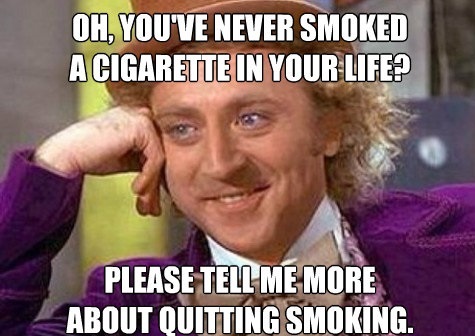 Treating smokers as social outcasts may influence their decision to lie about the results of their quit attempts. The CHART study was supported from 2009 to 2014 by five NIH grants costing taxpayers $15.5 million.